It's always so thrilling to see something I made in print! 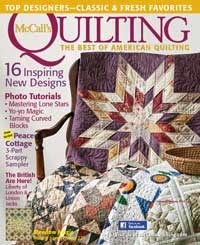 And on the cover! Can you see it peeking out from under the quilt on the far right? 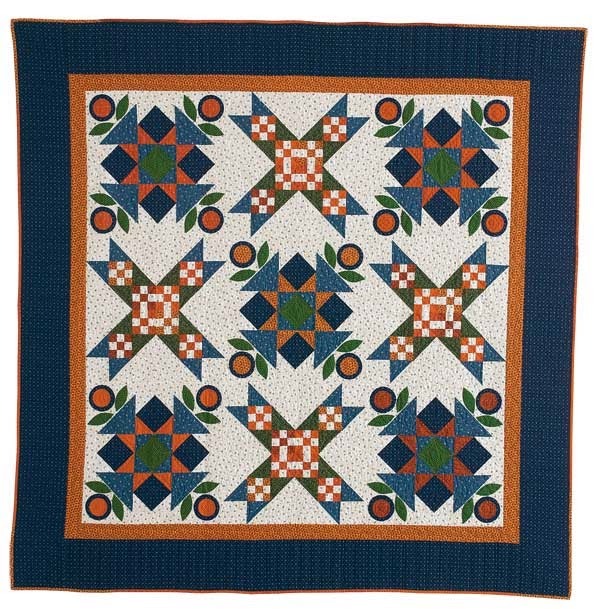 Here is Clara's Pride which is in the Jan/Feb 2014 edition of McCall's Quilting. The blocks are large so they go together relatively quickly and there are only nine of them. The finished quilt is 70 1/2" square.